How Long Does a Lemon Tree Take to Sprout? If you have ventured into the seed starting arena by planting your own tomatoes, zucchini, green beans or other common annual vegetables, perhaps you'll be ready to embark on a more ambitious seed starting project. 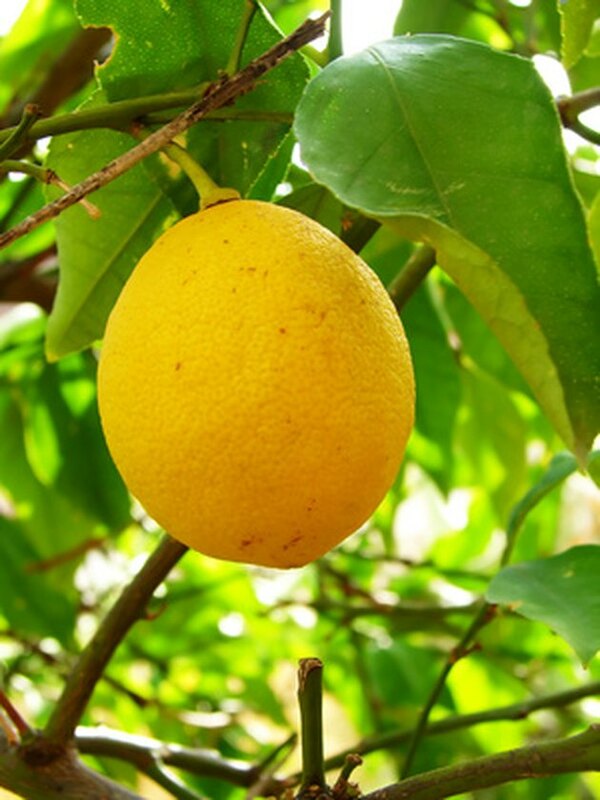 Lemon seeds sprout quickly and grow into a producing tree within several years. Look for a non-hybrid, or heirloom, variety of lemon, which will ensure that the future fruit is the same as the parent tree. Lemon seeds normally sprout within one to two weeks. The Texas A&M University Aggie Horticulture website cautions would-be seed starters that some types of citrus will produce the same type of tree and fruit as their parent, but hybrid varieties often produce inferior plants and fruit. Lemon trees that fall into this category sometimes grow thorns, develop fruit that is overly seedy and take many years to yield a harvest of fruit. Seedling trees are also more likely to develop foot rot disease. If you know that your lemon tree is a non-hybrid variety, wait until one or more lemons are very ripe and then cut them open, scoop out the pulp and seeds and wash them in cool water. You might find some seeds that have already sprouted if the fruit is overly ripe. Plant any sprouted seeds immediately in small pots with drainage holes, using standard potting soil. Place several seeds inside a folded, moist paper towel and then enclose it in a plastic bag. Keep it in a dark area where the temperature remains no lower than 70 degrees. Open the package every day or two to check for signs of sprouting. You will see a small white "tail" emerging from one end of the seed when this occurs: this is the young root forming. Viable seeds will sprout within one to two weeks. Plant sprouted seeds with their root end pointing downward in small pots with drainage holes. Use a standard potting soil or one designed for acid-loving plants. Keep pots in a sunny area and water them every day. When your seedlings are several inches tall, transplant them to larger containers or into the garden. Be sure to wait until after your final spring frost before you move young trees outside. When to Pick Lemon Cucumbers?